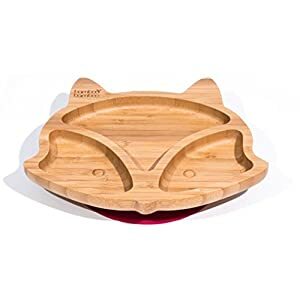 Amazon.co.uk Price: £19.99 £10.89 (as of 24/04/2019 00:13 PST- Details)	& FREE Shipping. 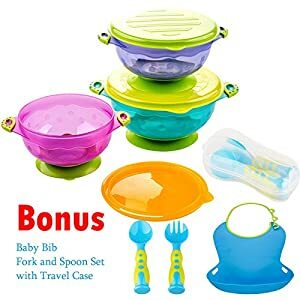 Comes with 3 suction baby bowls and 3 snap tight lids. ¾ cup, Medium 1 ¼ cup, Large 1 2/3 cup. 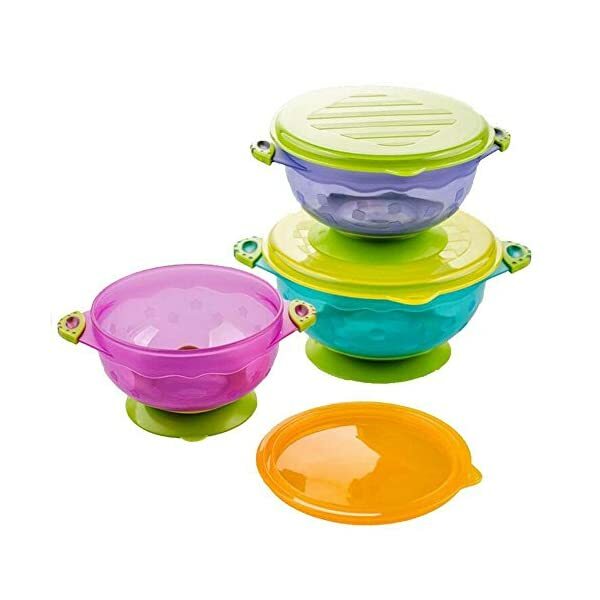 Each baby bowl comes complete with lids in 3 different colors and sizes. 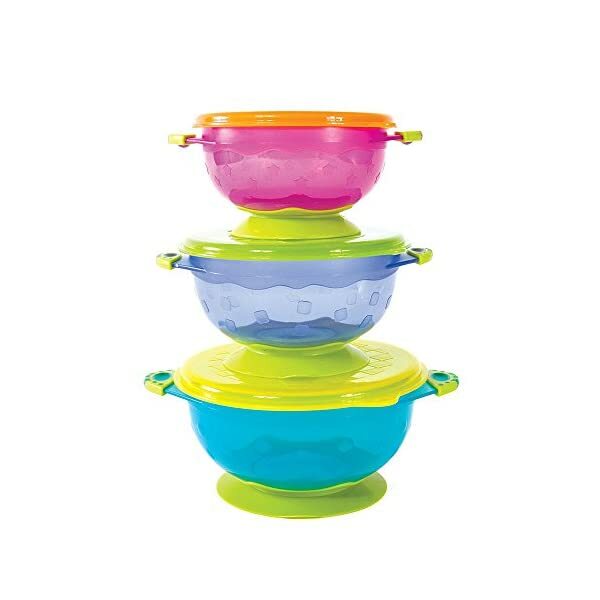 Made from FDA approved materials, BPA Free, Lead Free and free of any harmful chemica. 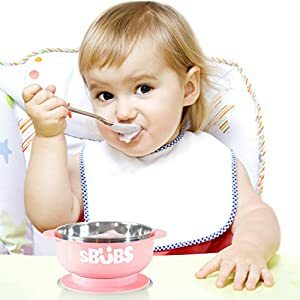 It is safe for Baby and baby can chew away without worry. Clings when needed, releases when you don’t. Easy release adult tab means adults can remove it in seconds, toddler’s can’t. 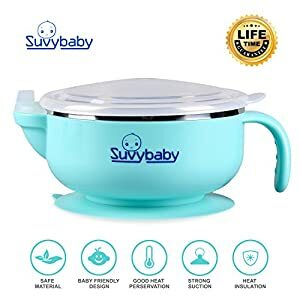 You are not worry again about the food leaks or spills. make an even better suction bowl. 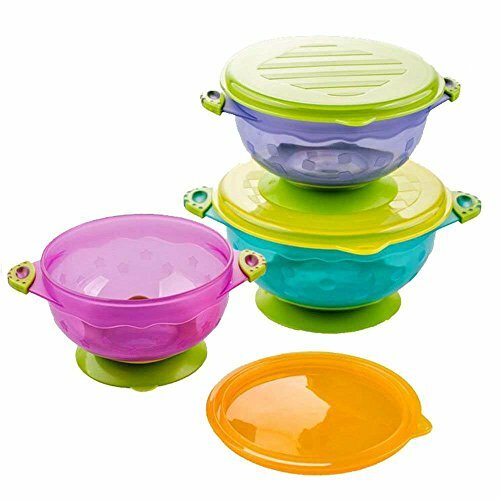 With snap tight lids, you can take food to-go without worrying about leaks or spills and are perfect for leftovers! 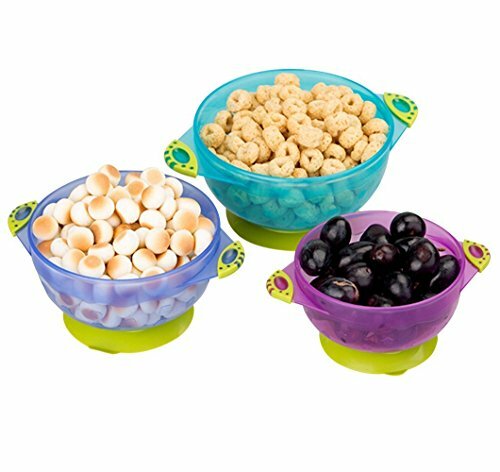 Our complete suction bowl set is designed to prevent messes and make meal time fun. Dampen the suction base before use. Press the bowls firmly on the surface and rotate the bowl to squeeze out the air. For best results make sure to use the bowls on smooth and flat surfaces, there is a drastic improvement with smooth versus non smooth surfaces. With 2 easy cleaning options to choose from, tidying up after feeding your little one will be a breeze. 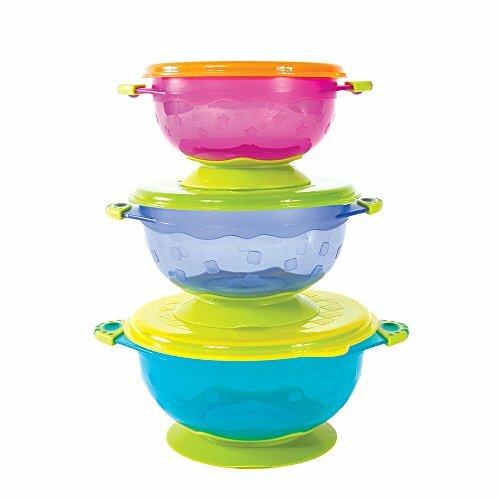 Snap tight lids make the baby bowls great for food storage and can be stacked on top of each other when you do not need to use them. Our set makes it easy to take food with you wherever you go. For best results please make sure to use the bowls on smooth and flat surfaces. Please notice do not use on the wood surface. The bowls will not have a strong suction if you use them on uneven, dirty, oily, scratched, scrubbed surface.